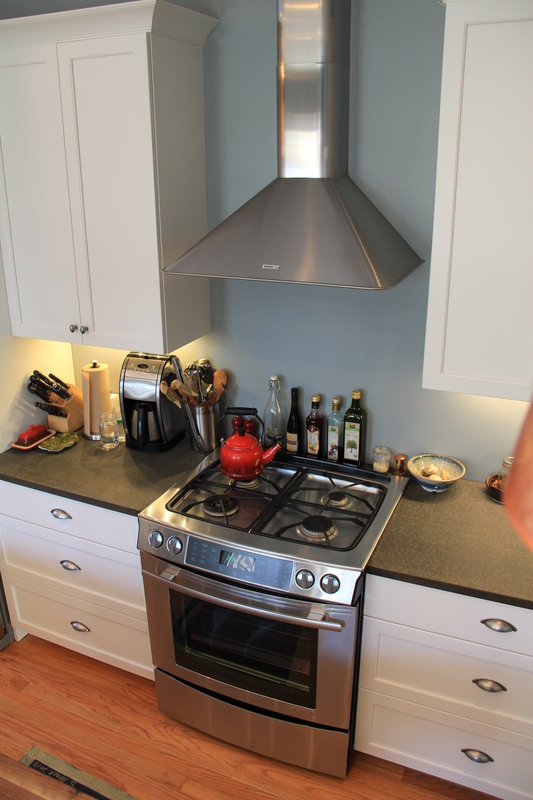 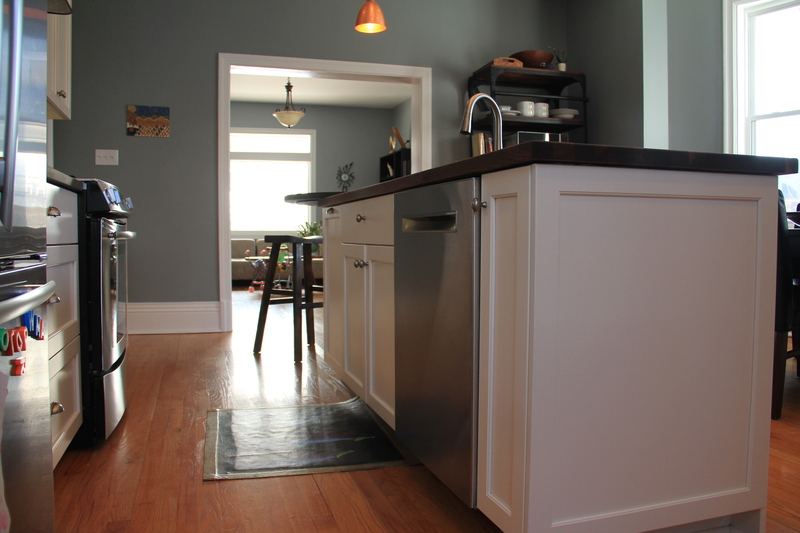 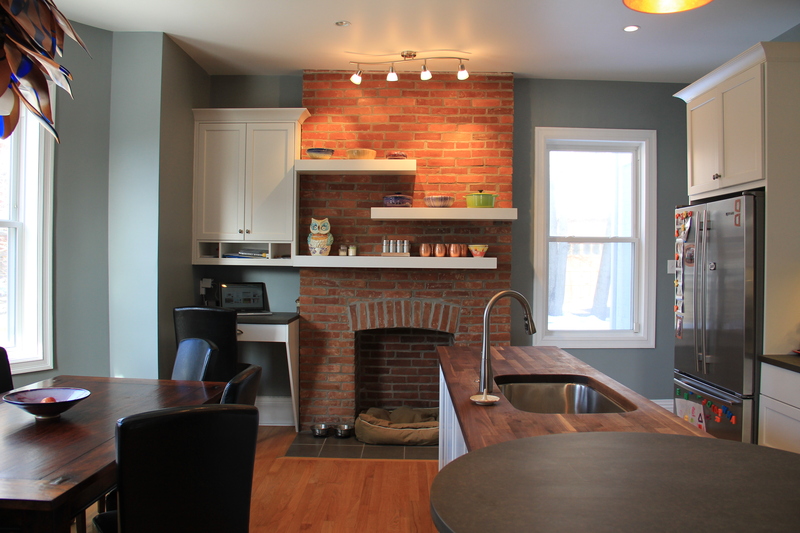 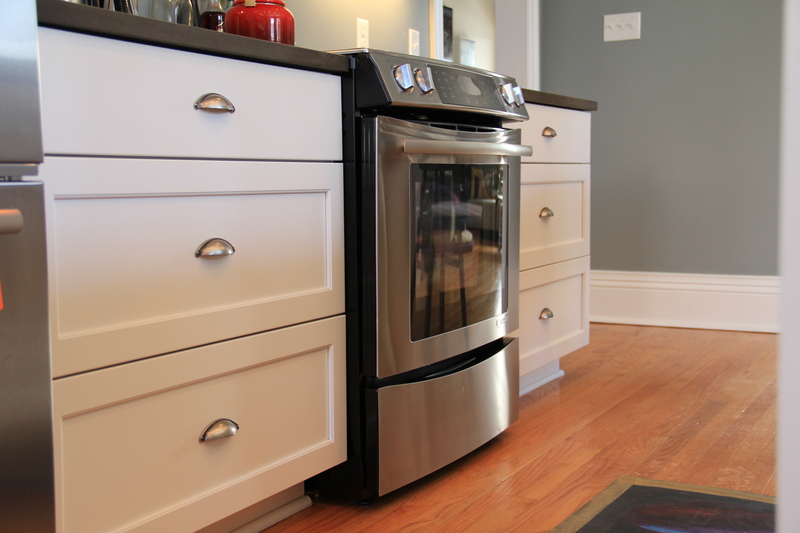 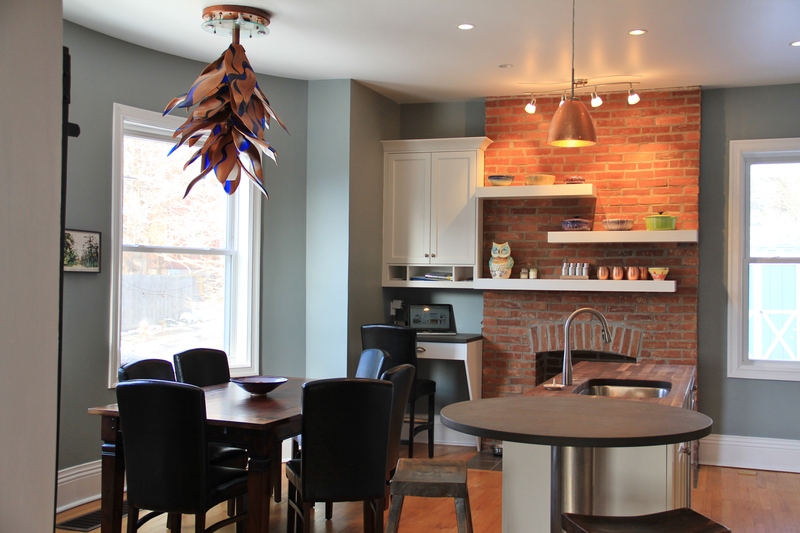 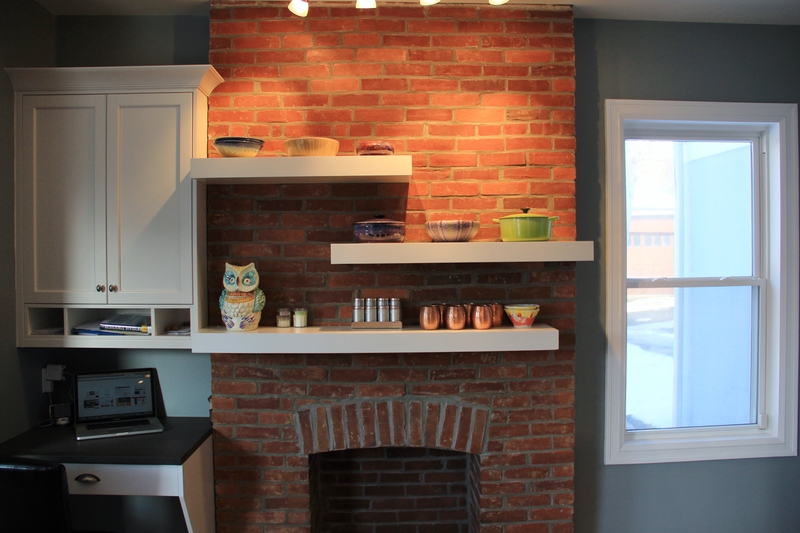 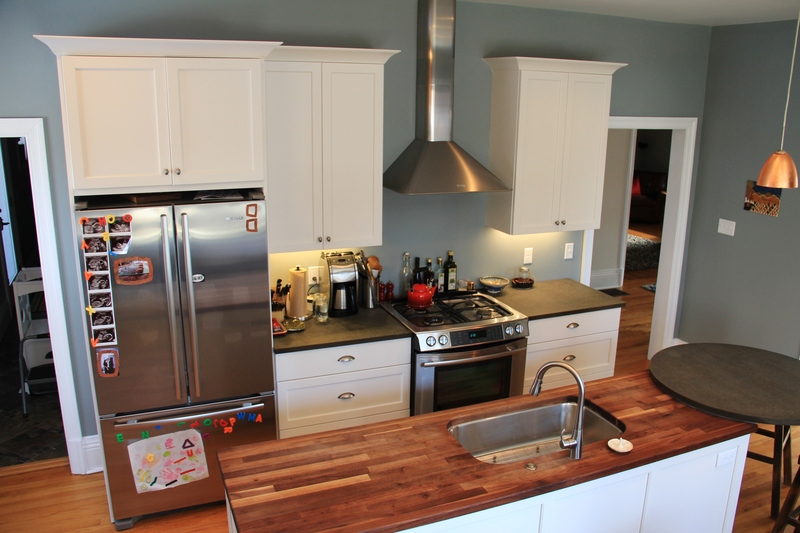 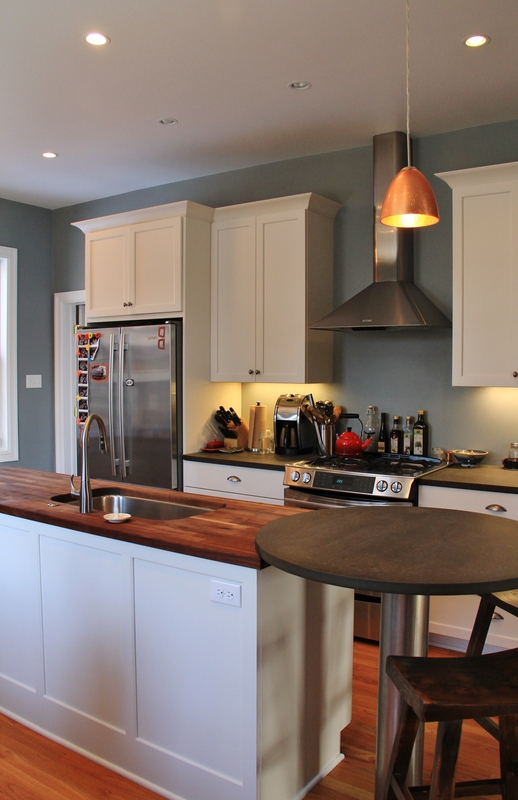 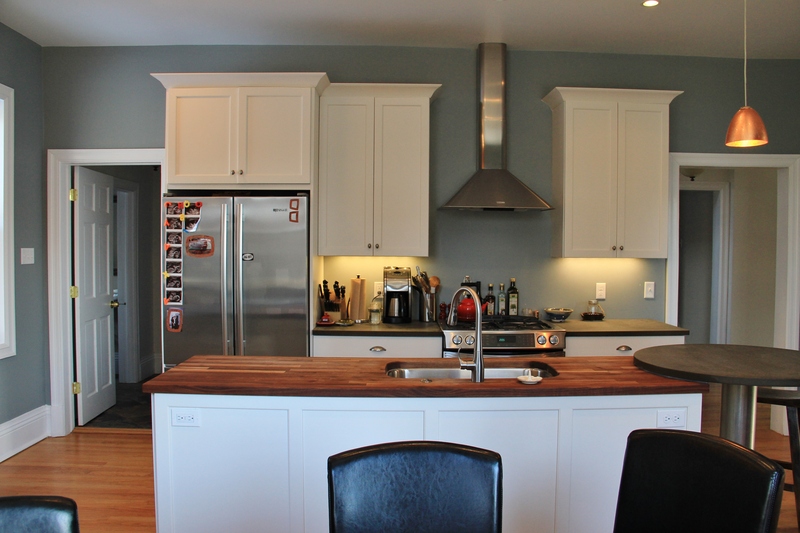 Former Clients of ours, this Family welcomed us into their new home for their second Kitchen Remodel. 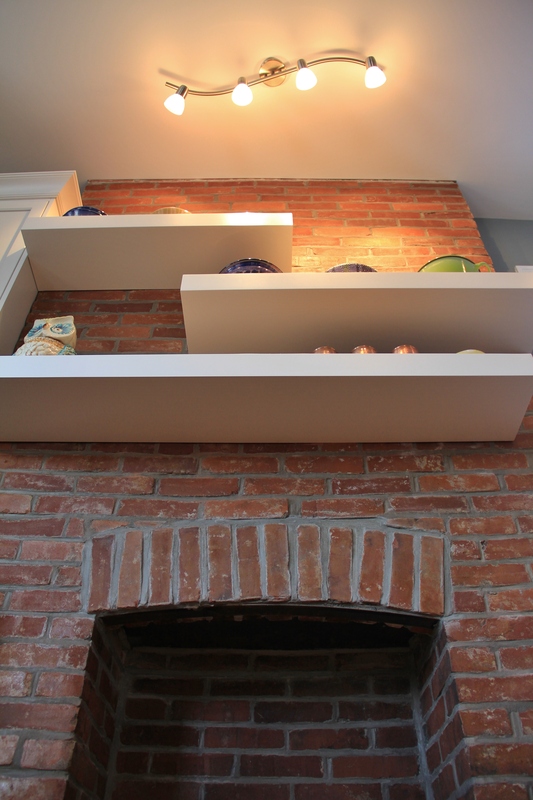 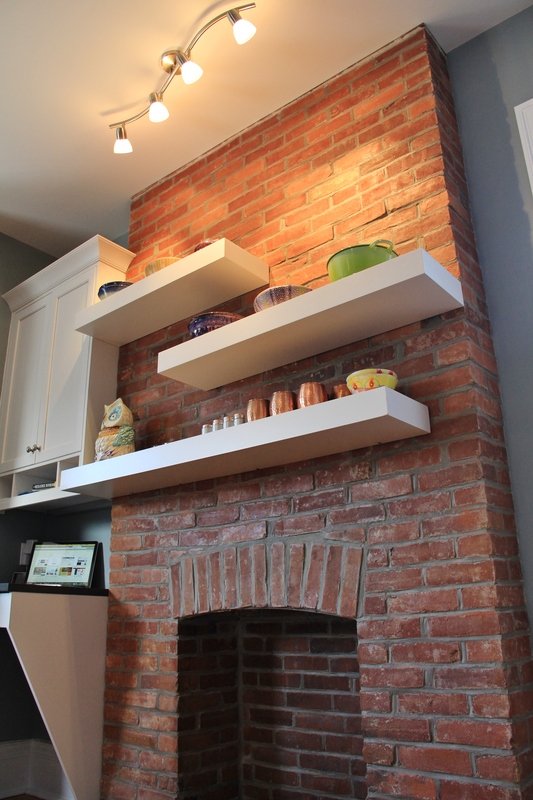 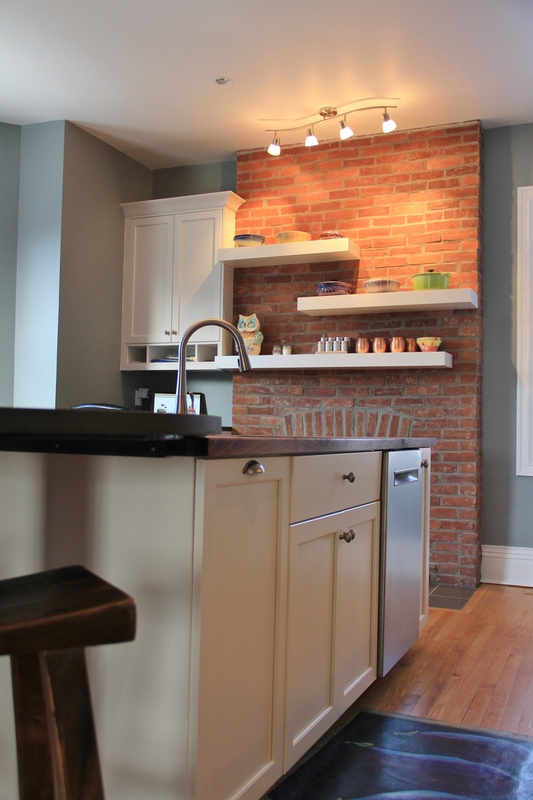 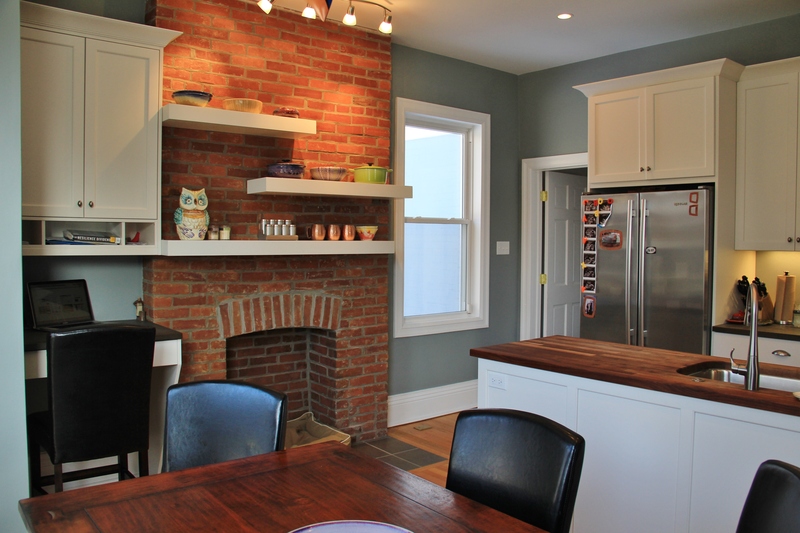 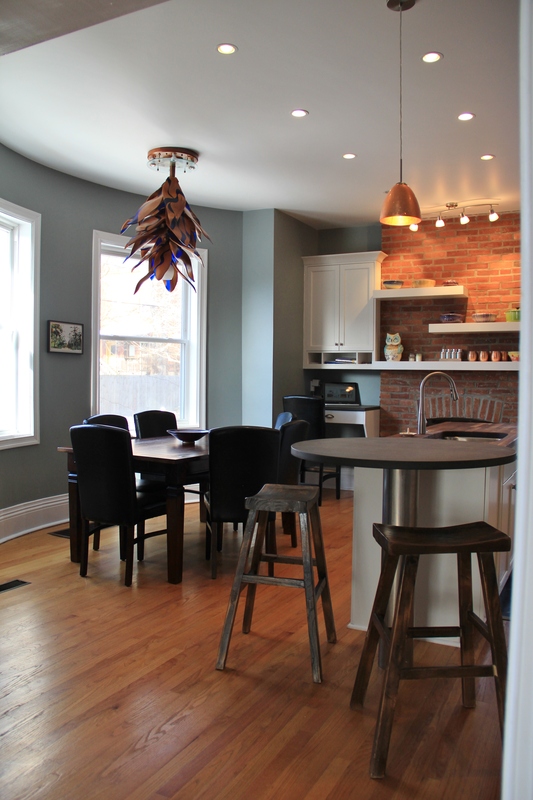 Once a historic four square, the original kitchen seemed cut off from the rest of the home. 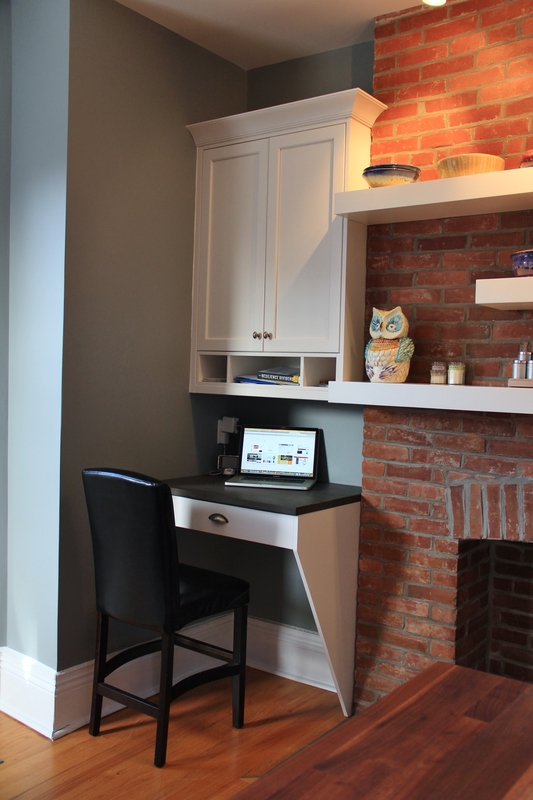 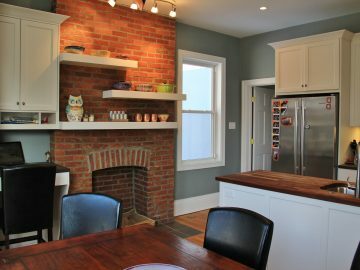 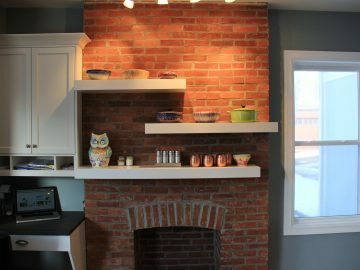 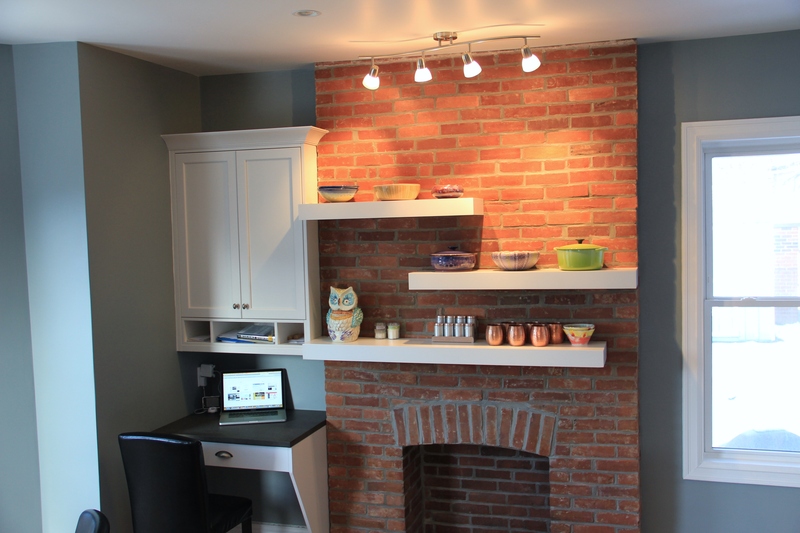 With a little, or a lot, of planning the former kitchen became a mudroom/play space for the kids, while the former dining room became an eat in kitchen. 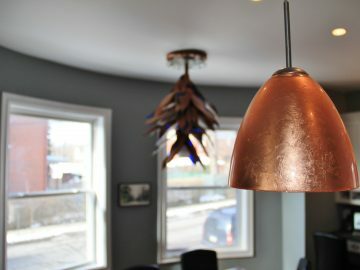 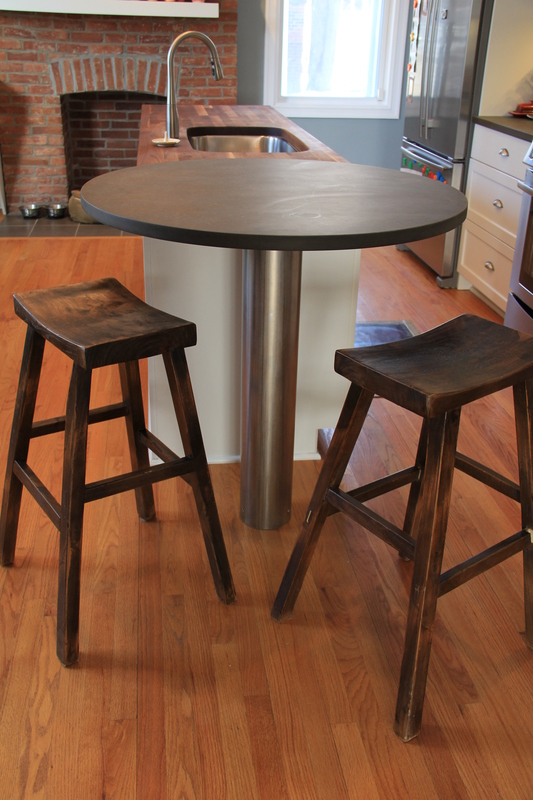 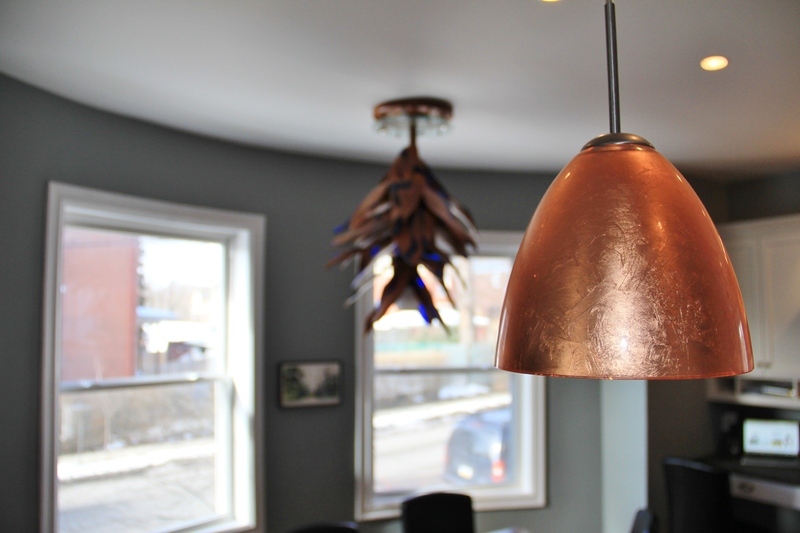 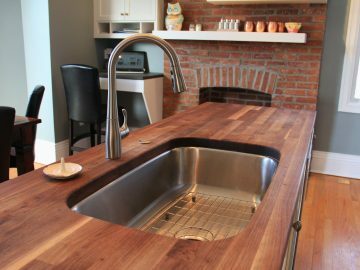 “It was really important for Julie to be able to incorporate natural, earth friendly materials.” says Healey. 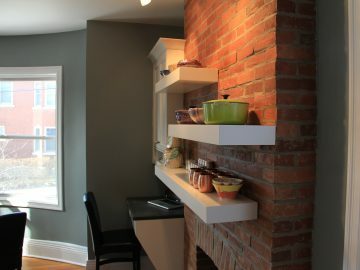 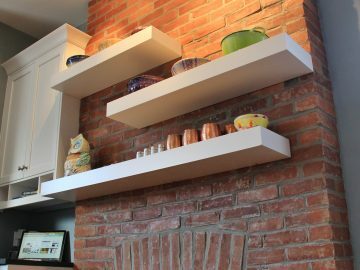 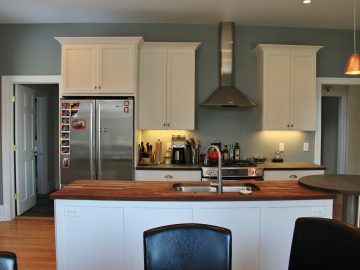 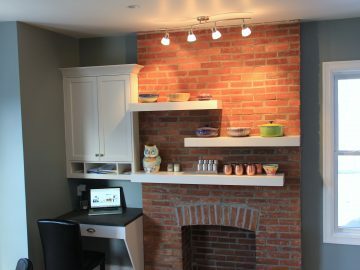 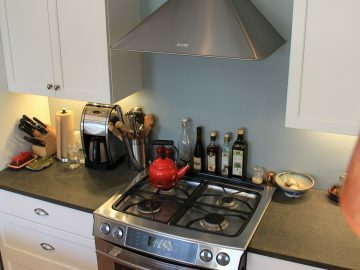 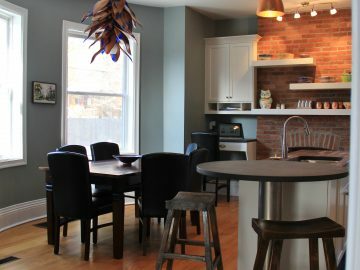 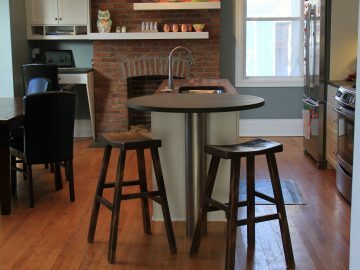 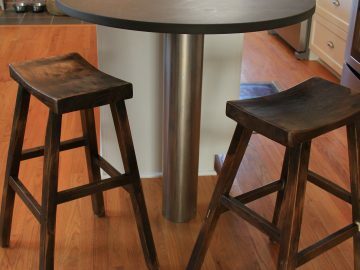 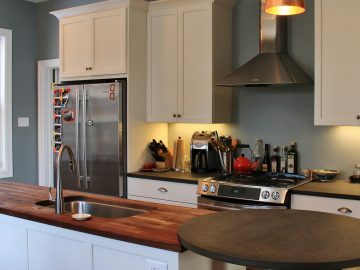 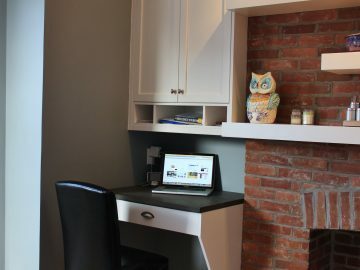 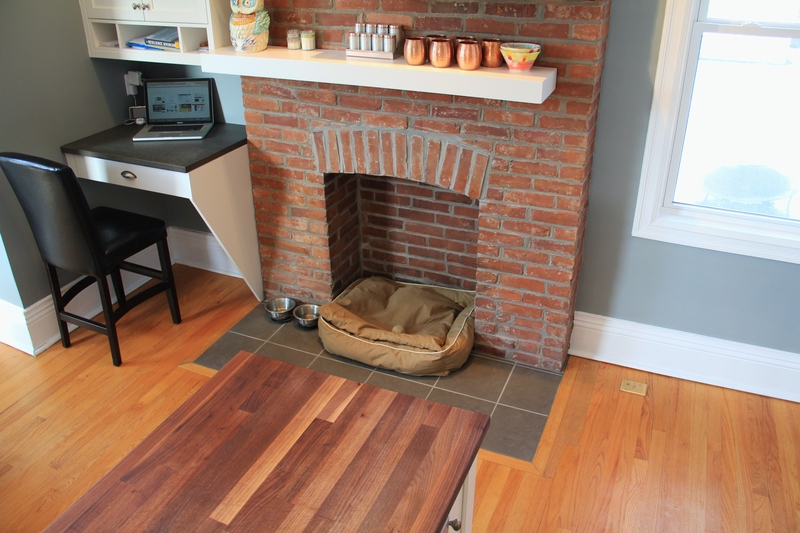 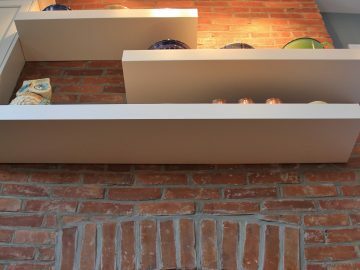 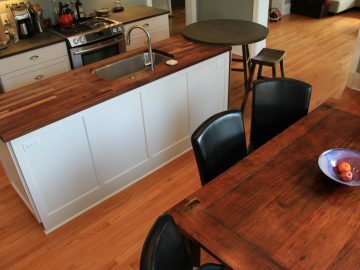 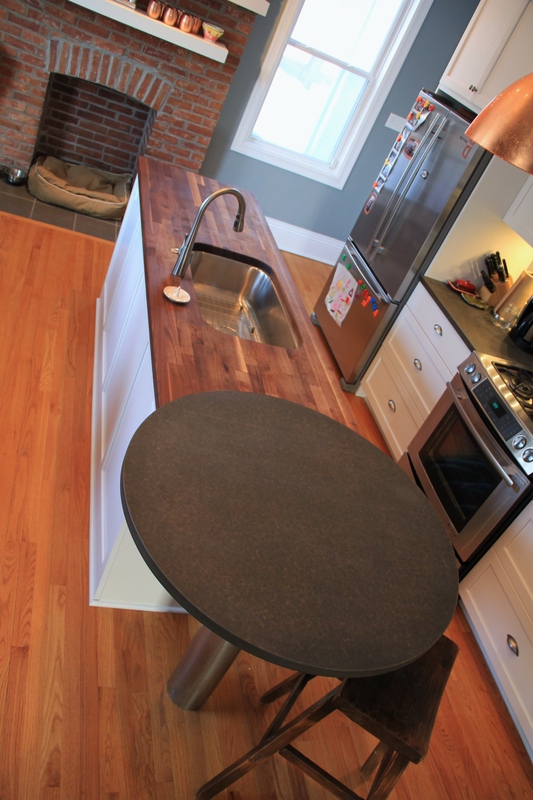 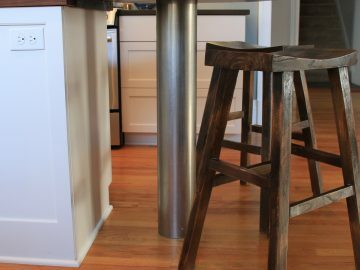 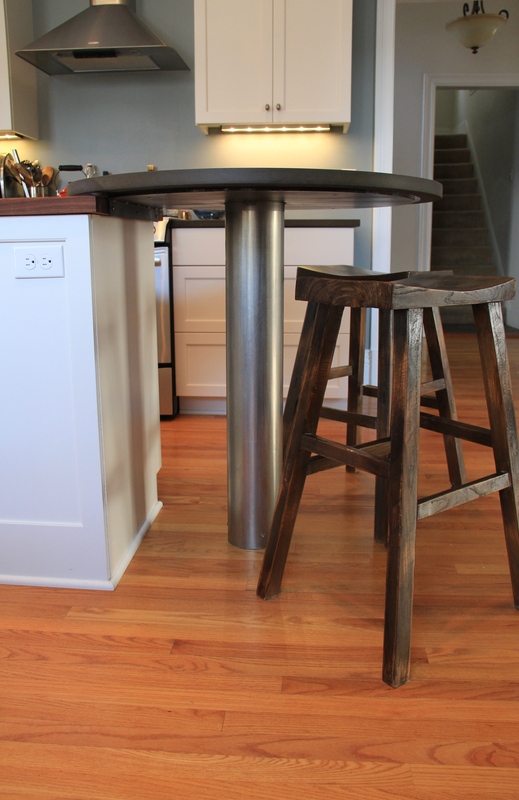 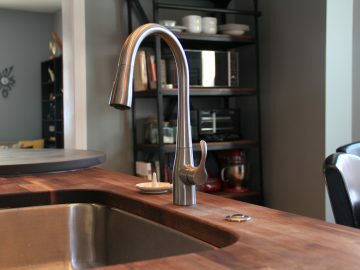 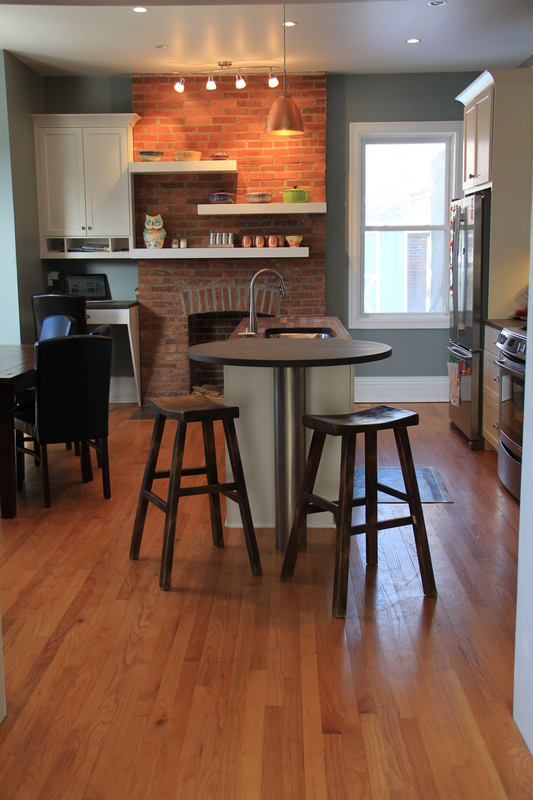 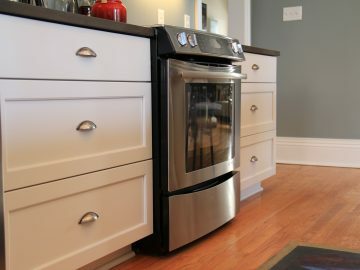 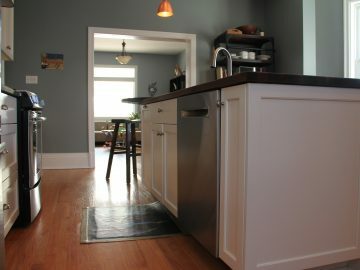 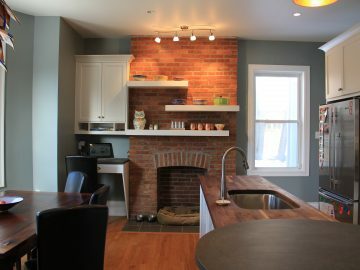 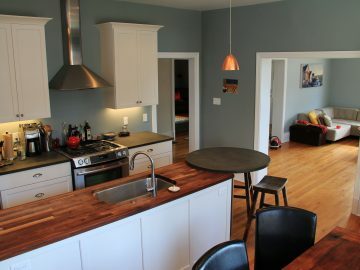 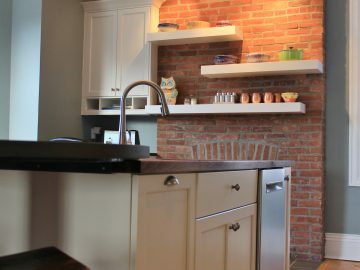 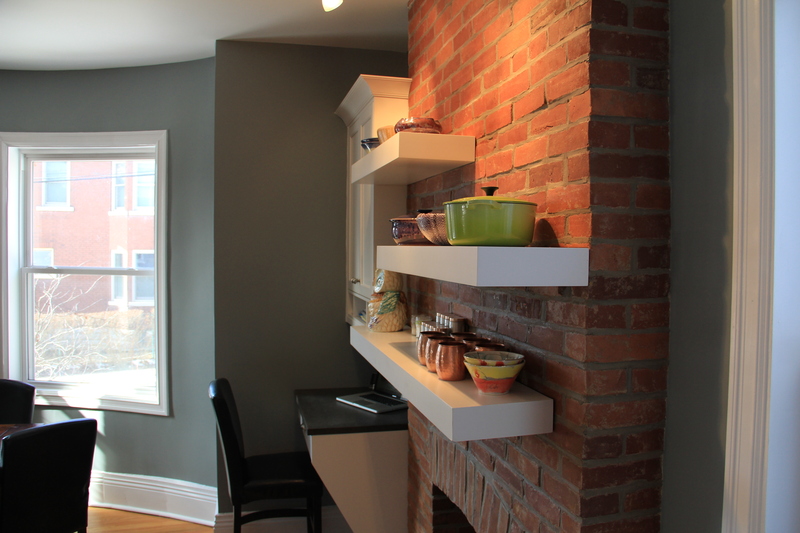 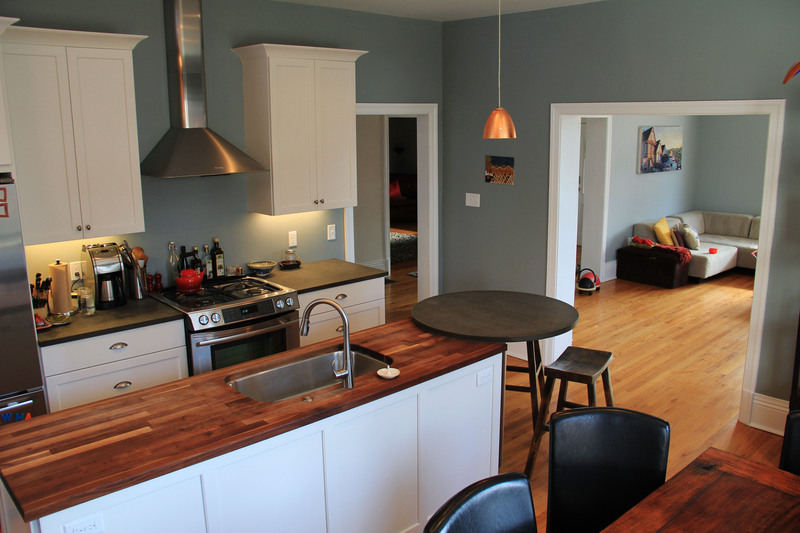 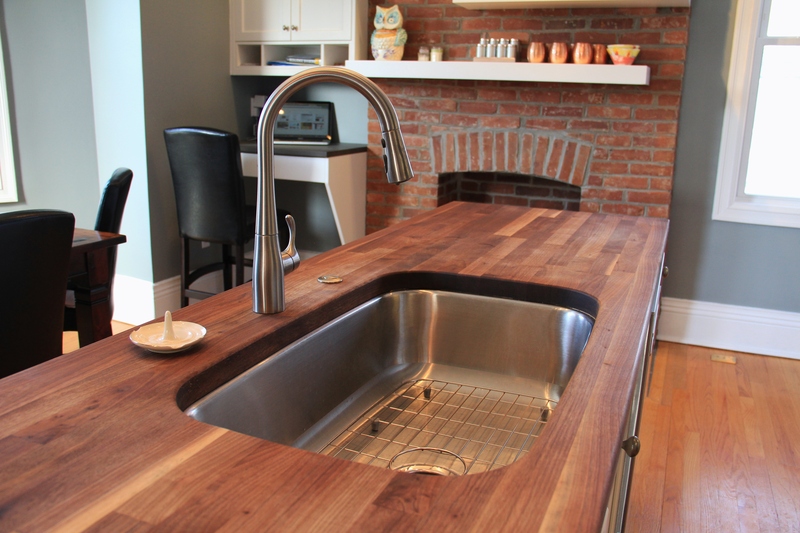 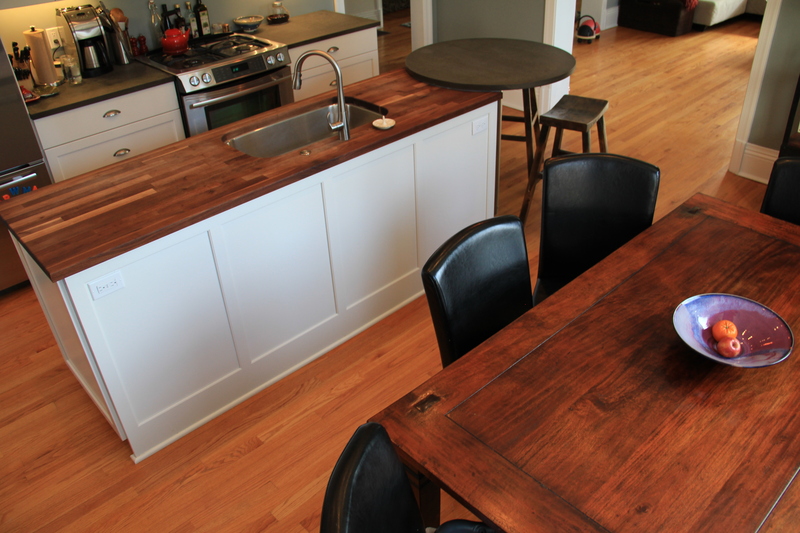 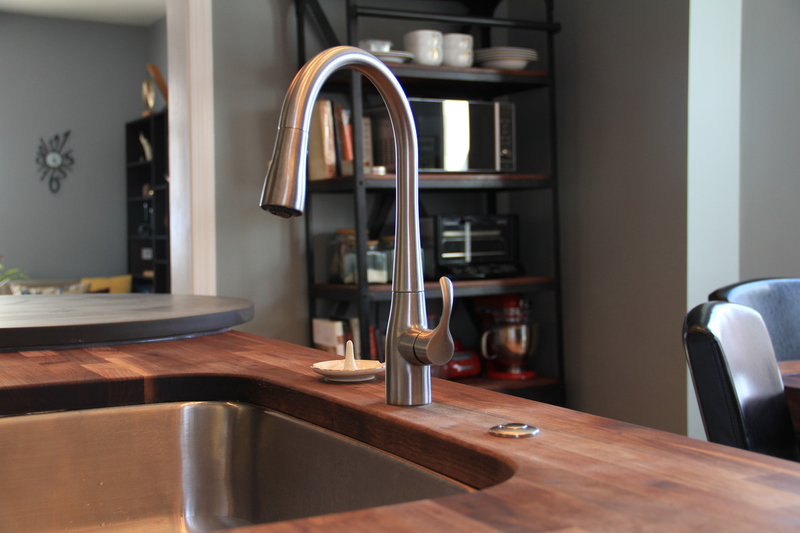 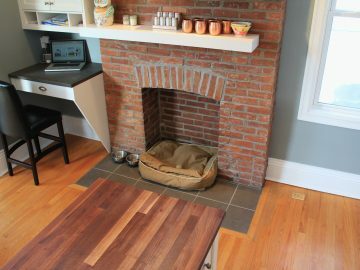 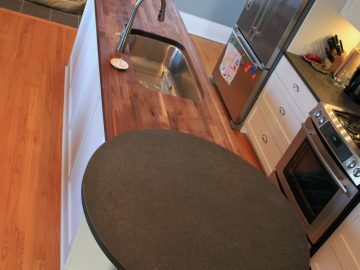 “So we found and installed a combination of paper stone and butcher block countertops.” Of course, function is the top priority in any kitchen, so we space planned for three actually, a Kitchen, a desk space and a dining area. 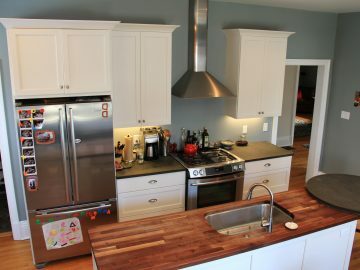 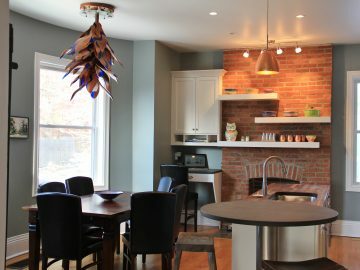 The end result, a unique and functional kitchen that has become the center of their home.